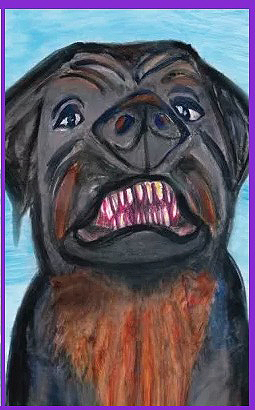 SOLON – In the third book in the Clipper Maine Island Labrador puppy series, Clipper and the Village Park Bully, our hero visits the village park for the first time. Excited to make new friends, he soon discovers he has a lot in common with other puppies. Then the park bully snarls at him and . 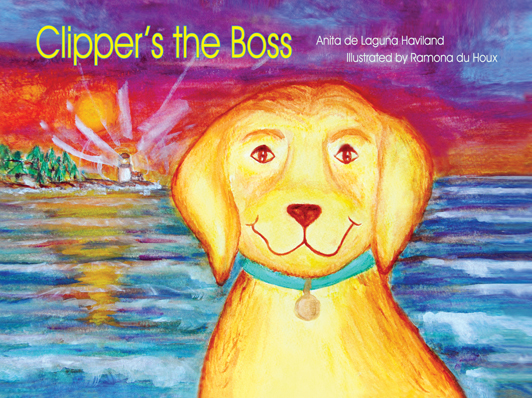 . .
Clipper’s author, Anita de Laguna Haviland, takes on the bully in the park to help children and parents deal with this serious problem. Being bullied as a child can have harmful, long-term consequences, like being stunted emotionally and socially. “Everyone has a role to play in combating the epidemic of childhood bullying. I hope my paintings will connect with children so they know they are loved and important to us all,” said watercolor artist Ramona du Houx. Nine out of 10 elementary school kids have beensubjected to physical or psychological bullying by their peers, while six in 10 have been bullies themselves, according to a new study. “The results show that even going down to young ages, we have very high levels of bullying and victimization,” said study lead author Dr. Thomas P. Tarshis, who conducted the research while with the division of child and adolescent psychiatry at Stanford University Medical Center. The findings were published in the April 2017 issue of the Journal of Developmental and Behavioral Pediatrics. The Clipper series focuses on a sweet Labrador puppy who loves to get into mischief. His adventures on a Maine island reflect incidents everyone’s child somehow manages to get into. If we think far enough back, we got into them too. 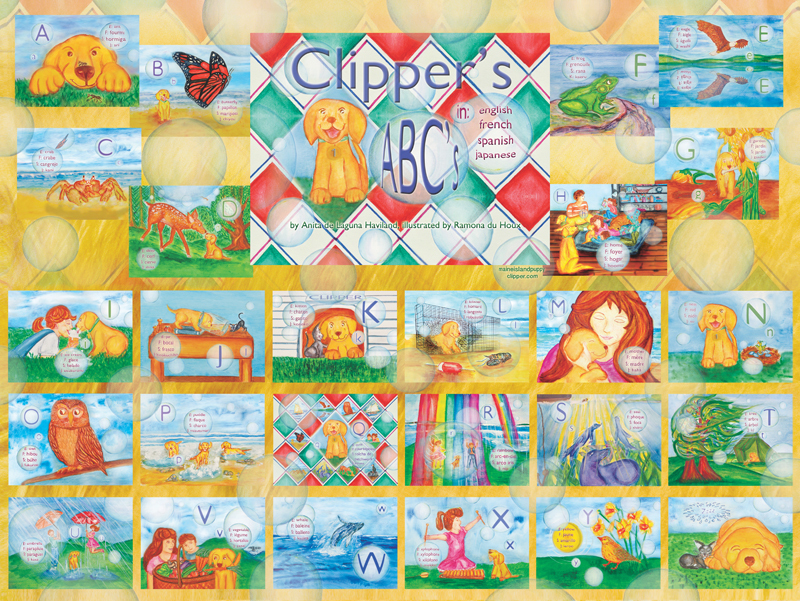 How Clipper solves situations, how those around him help or not provides direction—as a great picture book can do. All the while, this adorable puppy warms everyone’s heart and soul. “These stories are based in experience. 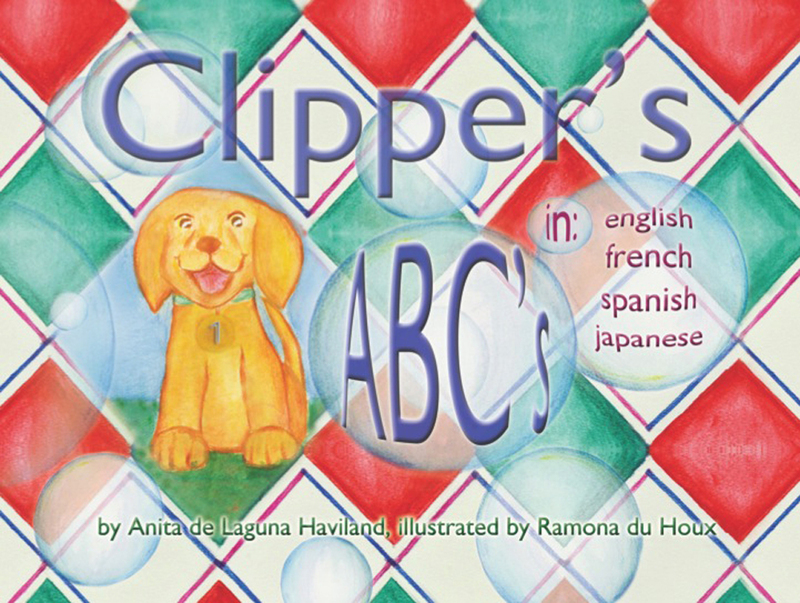 Our loving dogs have been wonderful teachers,” said de Laguna Haviland, who dedicates Clipper and the Village Park Bully to the memory of her loving dog Picasso. Du Houx’s vibrant watercolor paintings bring the book’s words to life while inspiring children and fostering an appreciation of art. Studies show early childhood exposure to the arts helps calm children and encourages their imaginations. Inspired by the visual splendor of the natural world and by children discovering it, Ramona has painted six picture books. Ramona’s photographic art has been exhibited worldwide since 1980. For the past twenty-two years she has worked as a journalist, artist, professional writer and photographer. Watercolor painting illustrations copyright © 2017 by Ramona du Houx. Clipper copyright © by Anita de Laguna Haviland. All rights reserved.